Expression lines visibly fade away, and the skin becomes smoother and the face appears younger. The features look relaxed, smooth and rejuvenated, and expression lines appear erased. Dermo-Relaxing Peptide Complex*, a synergistic complex of two peptides to reduce muscular micro-contractions … reproducing the similar result as Botulinum Toxin + Ultra-moisturising complex to create a softening of the expression lines. *Pentapeptide-18 prevents the entry of Ca 2+ into the neuron, by imitating natural enkephalin receptors and because the neuron needs calcium in order to be active… with calcium blocked the neuron stays calm and the message to the muscle to contract is limited. Acetyl hexapeptide-8 supports the action of the Pentapeptide as it copies a key protein complex to block neuron and muscle communication. This combination of peptides when used together reduces neuro-transmitter release by up to 40%. 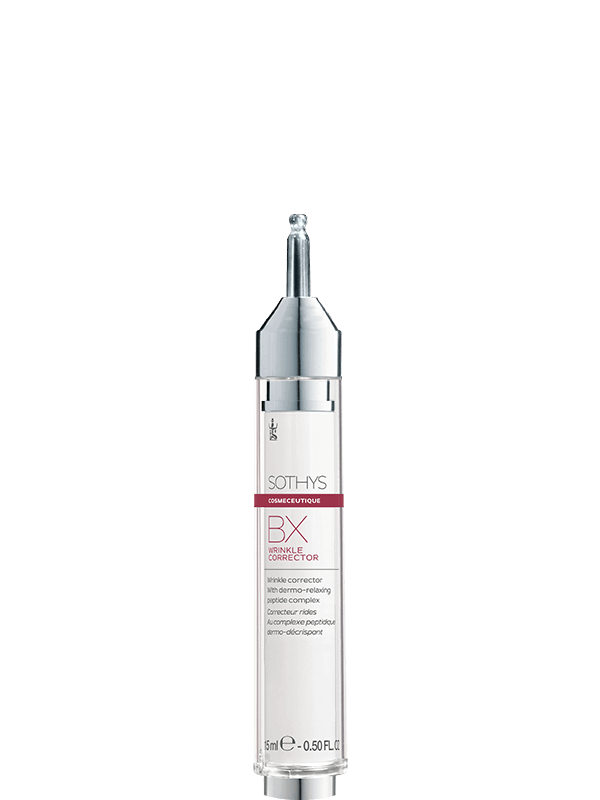 The combined peptides in the BX Wrinkle Corrector complex are Pentapeptide-18 and Acetyl Hexapeptide-8, which work synergistically to limit expression muscle contractions. The Bx Wrinkle Corrector may be used as an alternative to or as a reinforcement of dermo-aesthetic botulinum toxin injections. 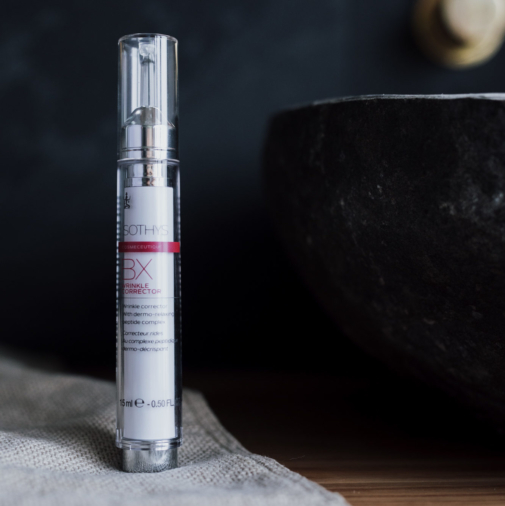 The formula was evaluated by an independent dermatologist who found that regular use of the product reduced the frequency of Botulinum Toxin injections required and that on average clients having injections every 6 months gained around an extra 6 weeks. The product has been praised by users of Botulinum Toxin injections! Using its high-precision applicator, apply the product morning and evening and directly to the affected area: forehead wrinkles, crow’s feet, frown lines around the eyebrows, nasogenian furrows and finish with light effleurage strokes. Follow with a suitable serum and cream. Use morning and evening on the affected facial muscles for up to 3 months for maximum results.